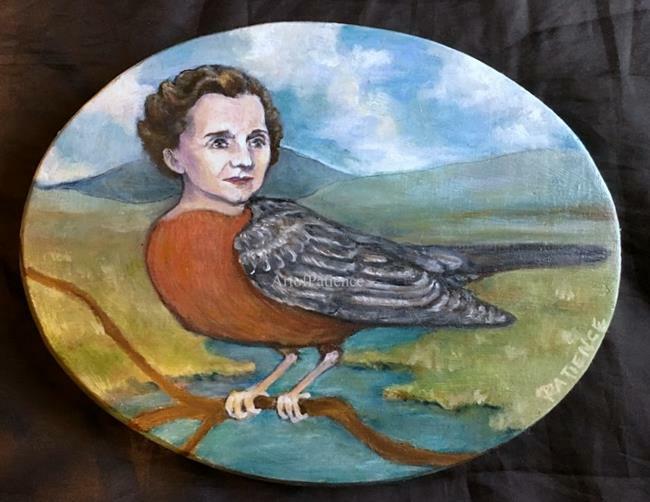 "No Silent Springs (Rachel Carson)"
I recently watched the PBS 'American Experience episode' regarding the author and naturalist, Rachel Carson, about her life's work. While I knew a little about her background, the documentary went into great detail and was very educational. I learned a lot from watching it, and also found myself highly moved. 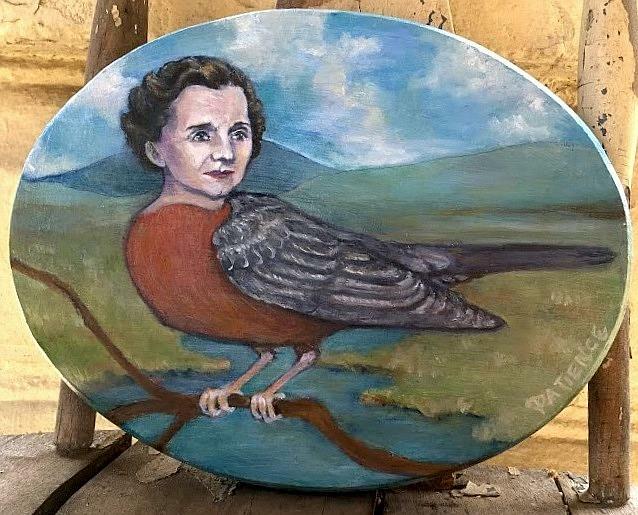 In an era when Nature was seen as a thing necessary for Mankind to dominate, exploit, intercept and control, Rachel Carson's message firmly challenged that prevailing Mid-Century notion. While the attitudes of the time reflected a belief that humans were somehow separate and apart from the natural world, Carson argued that mankind is actually an integral part of the dynamism of Nature, and that our human activities potentially have more far-reaching repercussions and impacts than we might even be aware of. Her book, 'Silent Spring', specifically questioned the widespread use of chemical pesticides, while calling attention to the negative impacts such wholesale application had upon the environment and animal life -- and ultimately, upon ourselves. 'Silent Spring' became a best seller and brought much public awareness to the concept of environmental conservation. Her influential writings and moving testimonies helped awaken a global cause, and are generally credited with giving rise and advancement to our modern environmental movement. As such, when looking for a subject to paint for this month's EBSQ "Awakening" online exhibit, Rachel Carson came to mind immediately. Her influence awakened an entire generation. 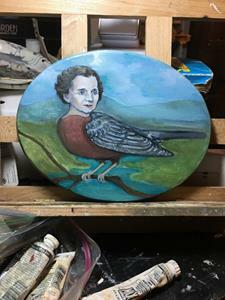 The title of her book, 'Silent Spring', refers to a scenario of the absence of song birds, as they perish en mass from heavy pesticide exposure. Robins in particular are susceptible to the effects of industrial chemicals and pesticides building up in the food chain -- so a robin seemed a likely symbol to incoporate. 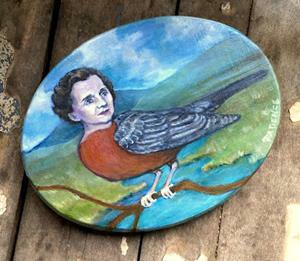 There is also the matter of Rachel Carson having died relatively young (in her 50's) from aggressive breast cancer. As a survivor of breast cancer myself, I hated to learn about how she likely suffered in her illness. Oncology treatments were rudimentary at best back then, harsh and commonly ineffective, and doctors often patronizing. 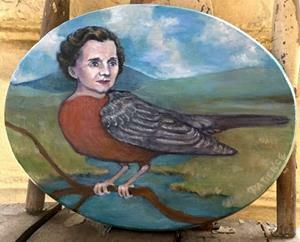 We'll never know if Rachel Carson's own cancer was in any way environmentally triggered. But, if it was...? Then somehow her message feels even all-the-more weighty to me. Here's to no silent springs.